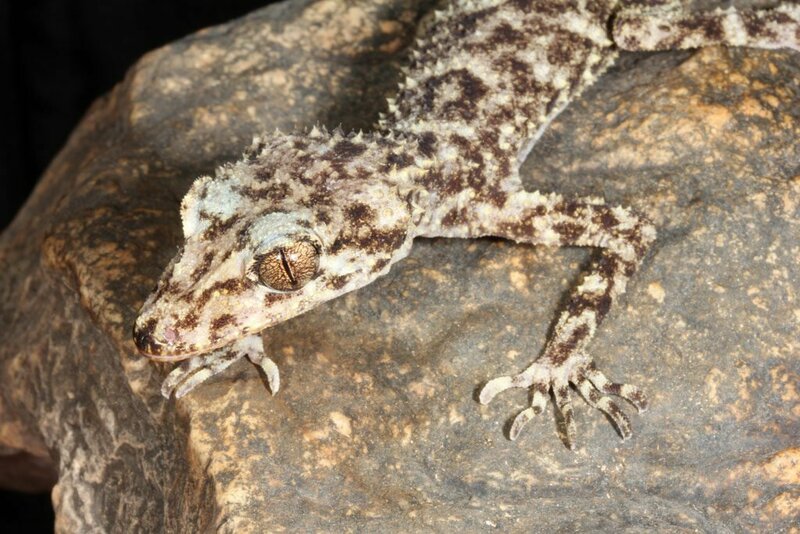 Dr Hoskin described the animal as “big and prickly” and belonging to a uniquely Australian group of geckos called leaf-tailed geckos. He said the gecko only lives among rocks in the rainforest, hiding among the rocks during the day and emerging on boulders at night to hunt for insects and spiders. “It’s superbly camouflaged and is near-impossible to see on the rocks. It has long, skinny legs and fingers tipped with sharp claws. Unlike many geckos, it does not have sticky pads on its feet,” Dr Hoskin said, noting it is one of Australia’s rarest species. The new species is described in the latest edition of Zootaxa.